Sparkling, clean, clear and refreshing water is a desired commodity. Water is a vital part of human health. Filtered or purified water is very popular today, especially with recent water issues regarding contamination and pollution. 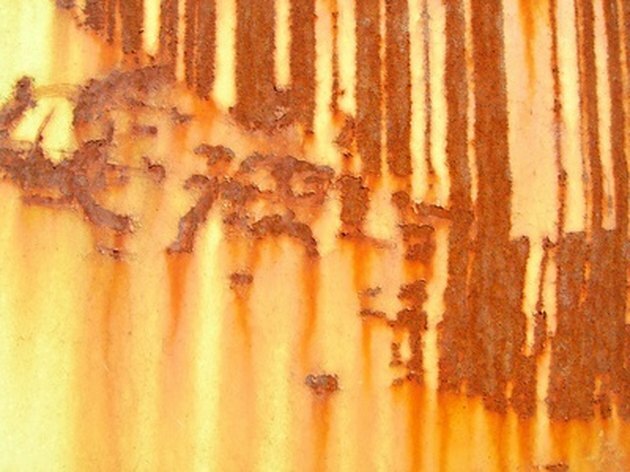 Rust is often found in water due to iron piping because iron rusts over time when it's in contact with water and oxygen. Small amounts of rust won't warm the body because oxidized iron is a nutrient. However, overly rusty water is unattractive, stains and can be harmful. Rust in the water can be harmful if it begins to collect bacteria. The red or brown color of rust in water is unattractive and makes the water look dirty, but it will not cause immediate harm. If the amount of rust is excessive, it may cause the water to taste bad, in which case it is unlikely anyone will want to drink the water. Iron in water supplies the body with an essential nutrient. Iron can be healthy for the body because it helps transport oxygen to the blood. The Department of Natural Resources mainly considers rust in water an "aesthetic contaminant" because it is more likely to harm clothing in the laundry by staining it, than a person drinking it. Bacteria can begin to live or collect in rusty water. When this occurs, water must be treated because coliform bacteria can be present. Iron pipes in older homes, age on the inside of the pipe rather than the outside. Rust and mineral deposits begin to build, oxidize and can flake off. This can cause corrosion, cracks and breaks in pipes, which then will cause leaks in the home. If the home floods, water damage leads to a risk of mold which then becomes a health risk. If mold in pipes or sinks gets into drinking water, it will make the person sick.